I haven’t done a whole lot of hobbying recently. But the other week I got my shipment in from Mad Bob Miniatures in the UK, consisting of a few vehicles I am probably going to use for Operation Sting in November. As I’ve mentioned previously in my 2017 hobby goals post, I plan on revisiting the USMC, updating their paint jobs and adding some new tweaks to the army composition. Part of that included picking up a few models that are actually somewhat hard to find, as Mad Bob is the only person I know of who makes these particular variants of the amphibious transports the Marines used. He cast them up in white resin, and they turned out pretty well. A few fixes needed here and there, and the MMGs aren’t great quality, I’ll be replacing those with some plastic spares I have lying around. But overall I was happy with them. 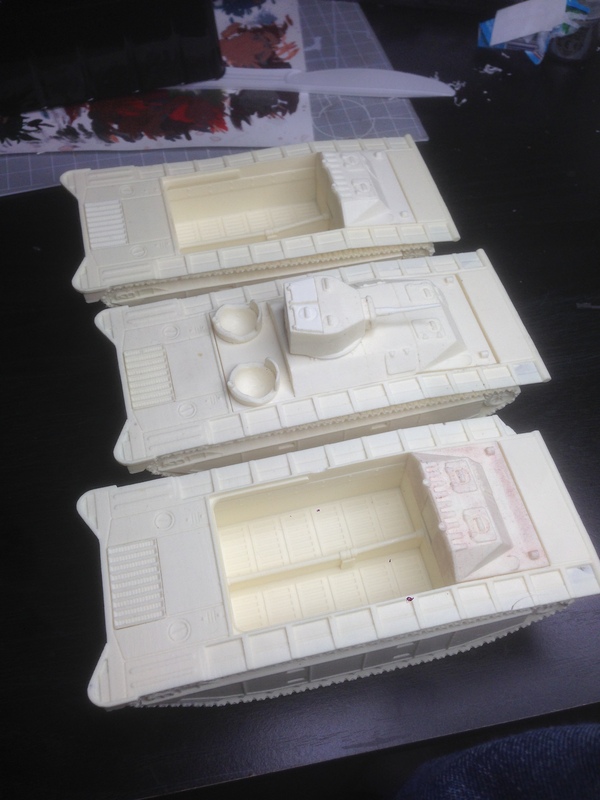 I picked up two of the LVT-2 transports, one of the LVT(a)-1 Alligators (which was essentially the same hull made for fire support with a Stuart turret thrown on top) and one ‘waterline’ variant of the LVT-2’s to use on the display board as a fixed piece in the realistic water. I’ll be needing to crack the airbrush out for some other stuff in the near future and may paint these at the same time. Pictures will get thrown up on the Instagram as soon as I do. 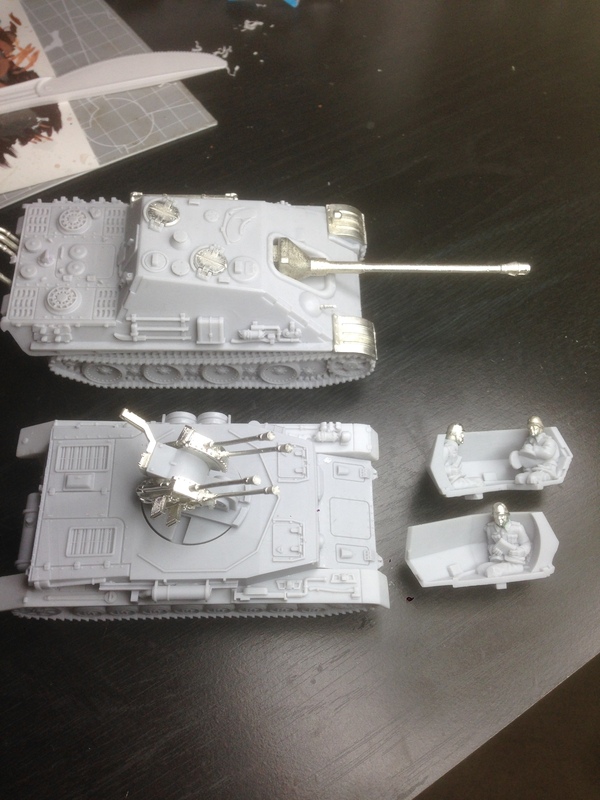 Oh, and just for fun I recently threw together the Jagdpanther and the Wirbelwind from Trenchworx. Gorgeous models, the Wirbelwind will need the interior of its turret painted before final assembly. Some nice little detail in there.